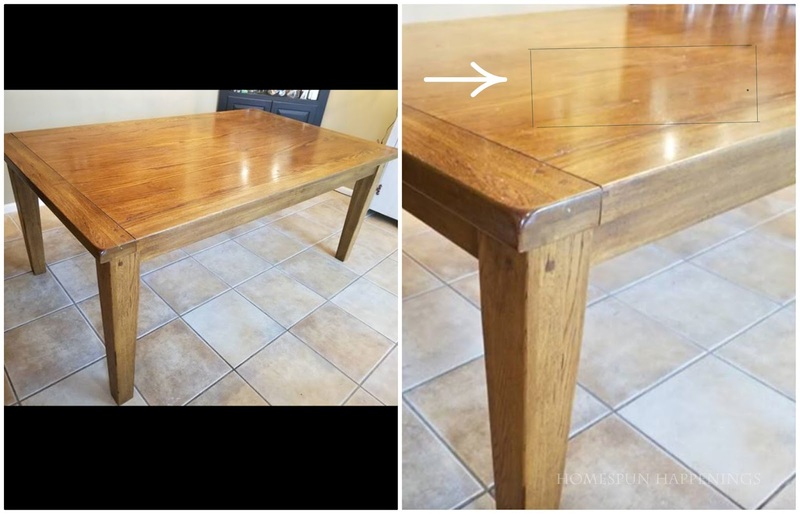 I was not smart enough to think this through when I applied the dark wax to the table top. 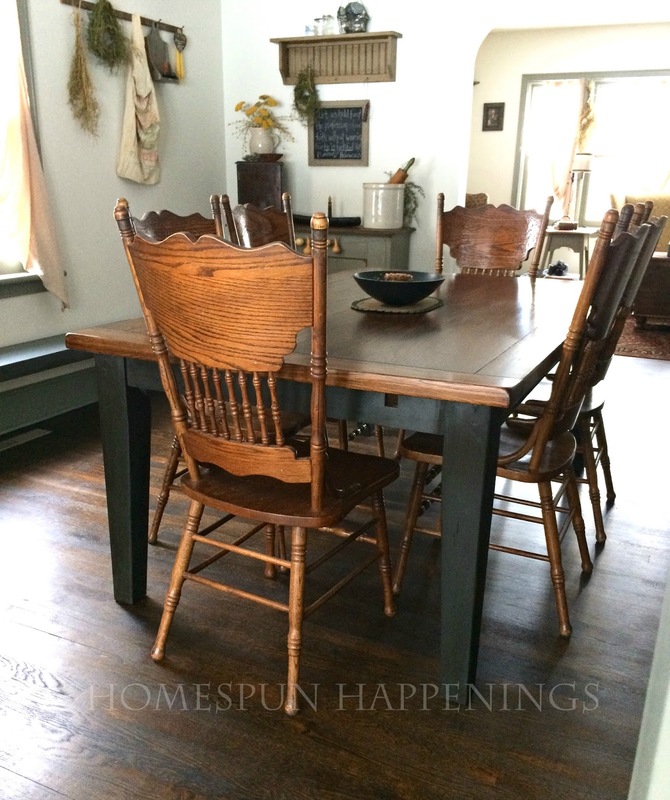 I was very impatient, after all this was a new to me table that I purchased to have just in time for Christmas dinner and gatherings. I needed it finished, and I needed it done in one day. 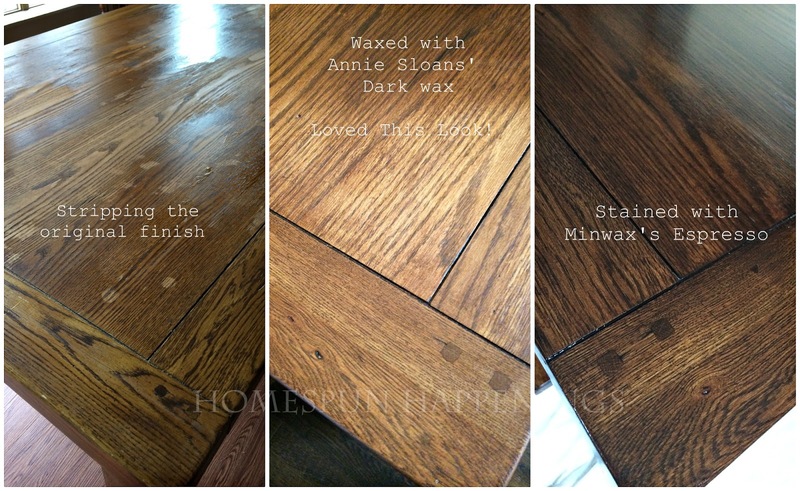 Here is the dark wax finish.....So beautiful and so soft and that is what I forgot! So soft that when hot stuff comes in contact with wax bad stuff happens! So here are the original Marketplace pics. I didn't realize how scratched up the surface was until hubby brought it home. I knew that I wanted to darken the top and paint the legs anyway, so I decided to strip and sand it down. After all Christmas was just around the corner. Our other table was 3' x 6' and this one measures 3'8" x 6' with (2) 18" leaves to go on either end, giving us so much more room for guests to sit and food to be placed on the table. I finished the top in one day! I was so excited! I could wait until after January to paint the legs now that the top was beautiful! I was so foolish (still am). plus I did not allow any curing time for the wax or any other finish. After Christmas I decided that I like the darker Espresso stain vs the Oak or early American stain that I had. I stripped it again, sanded, and this time stained the top. Here are the different stages it went through. 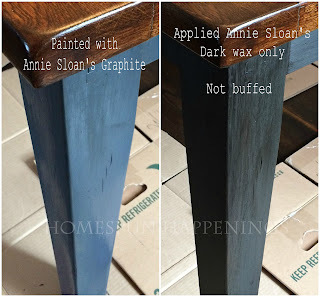 I painted the bottom of the table in Annie Sloan's Graphite; I only used dark wax over the Graphite. Here it is how it looks today. The poly still chipped and bubbled at spots, which never happened to me before. I was wondering if it had something to do with the stripper I used. I did clean it with mineral spirits before applying the stain. You did a great job....as always. :) It is good you know how to correct your mistakes.